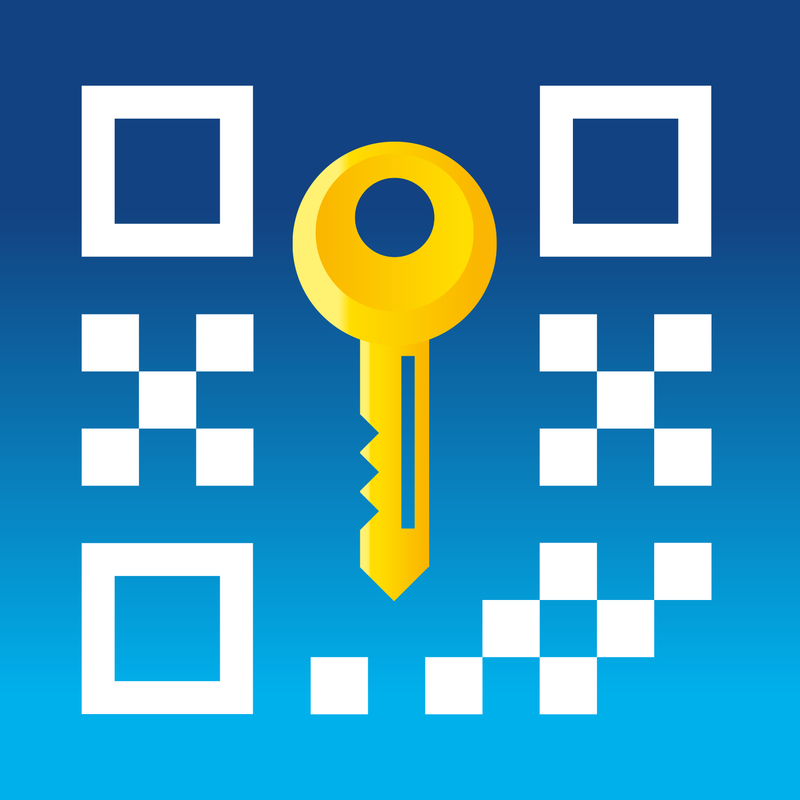 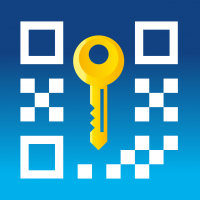 Integration with free phone app qrLogin. 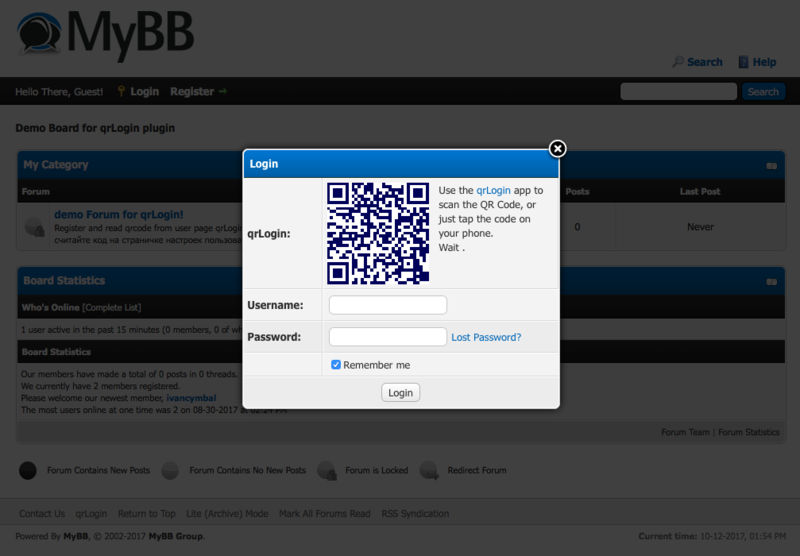 qrLogin is an authentication system based on the reading of the qrcode by the mobile phone and the transfer of authentication data via the http/https protocol to the application or to a web resource. 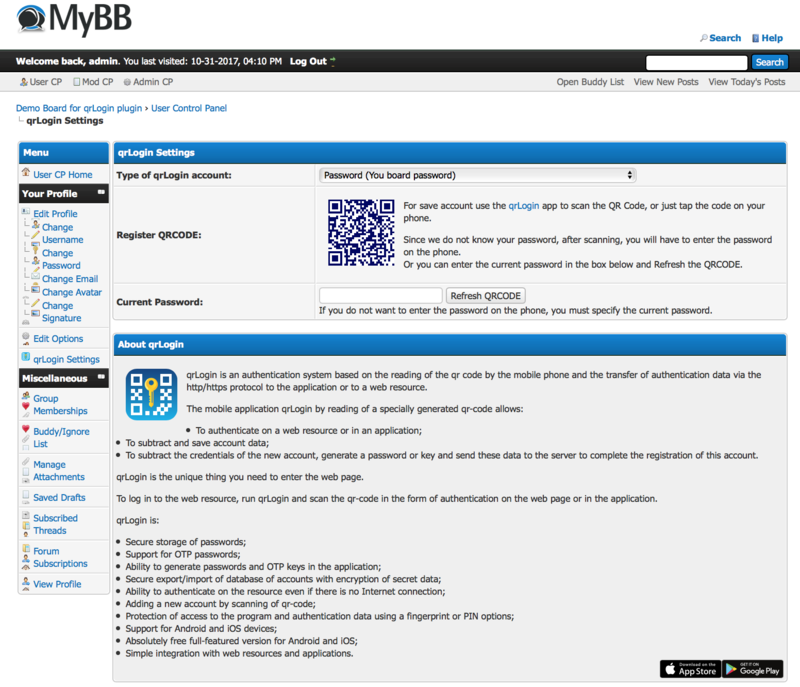 To subtract the credentials of the new account, generate a password or key and send these data to the server to complete the registration of this account. 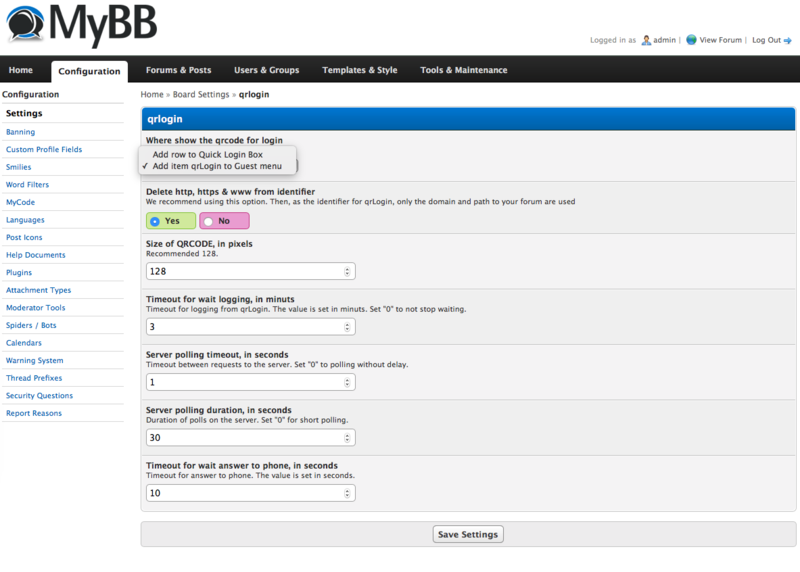 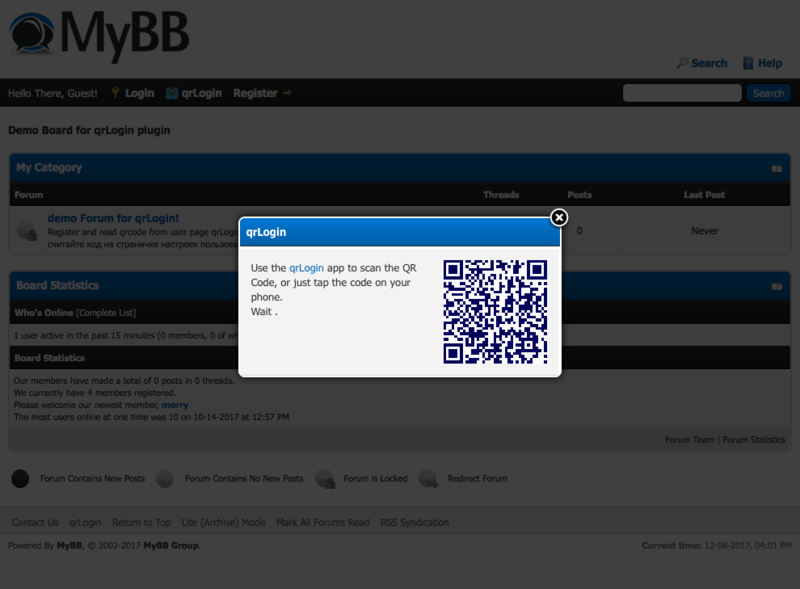 qrLogin is the unique thing you need to enter the web page. 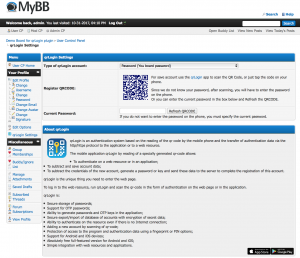 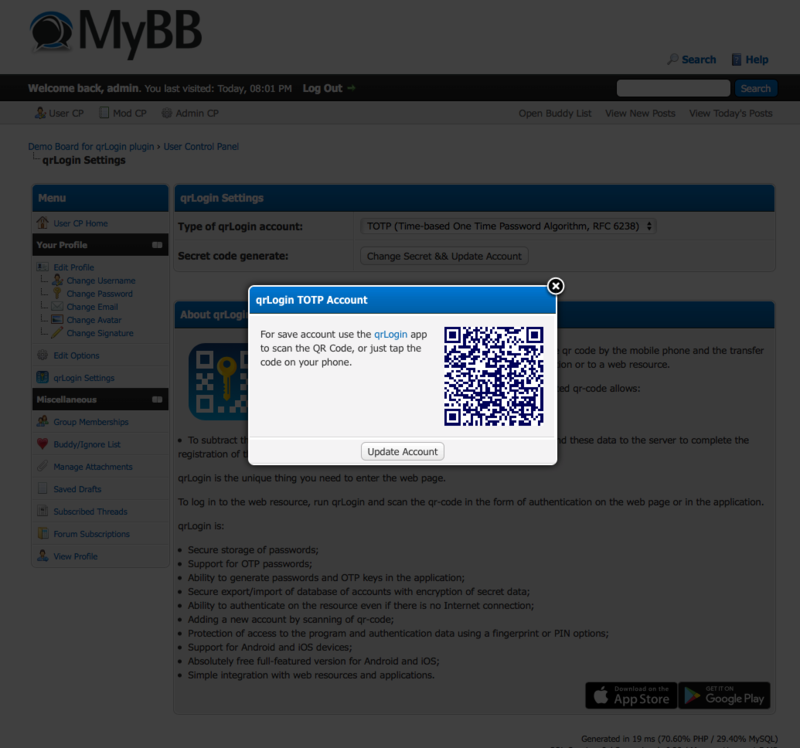 To log in to the web resource, run qrLogin and scan the qr-code in the form of authentication on the web page or in the application. Huge request, if you installed a plugin on your forum, specify the address of the site. 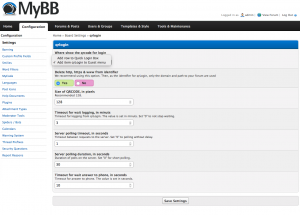 And if not, I will be very grateful if you write what can be improved in it!